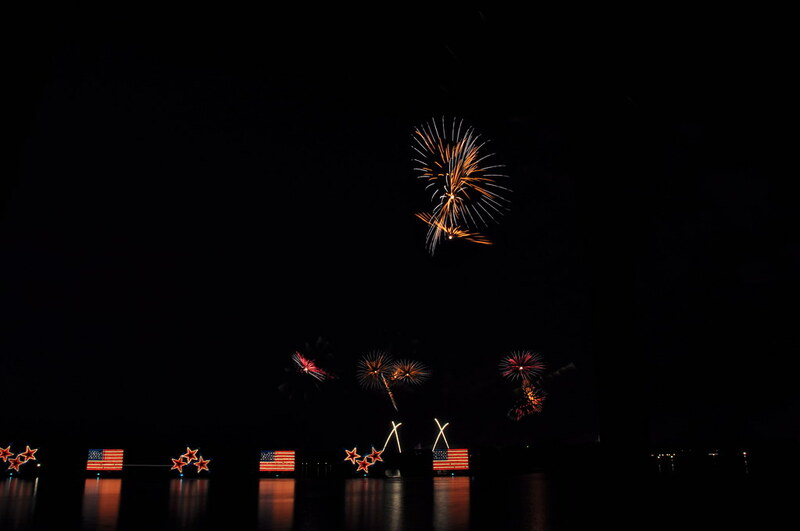 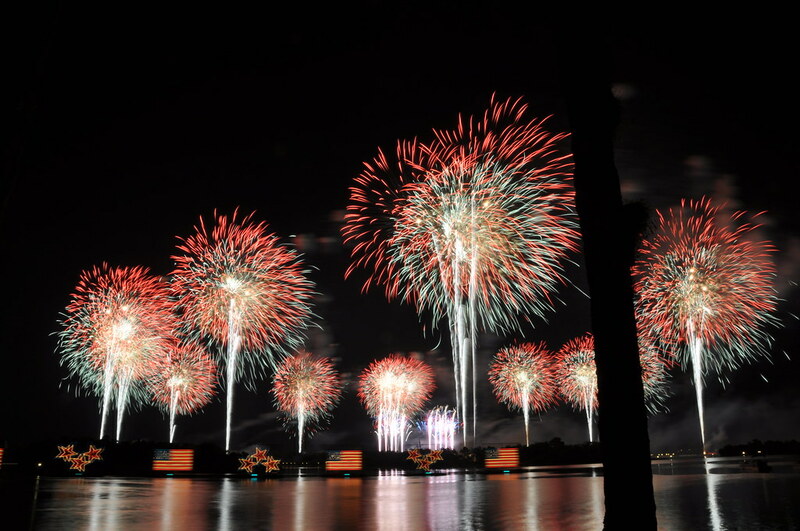 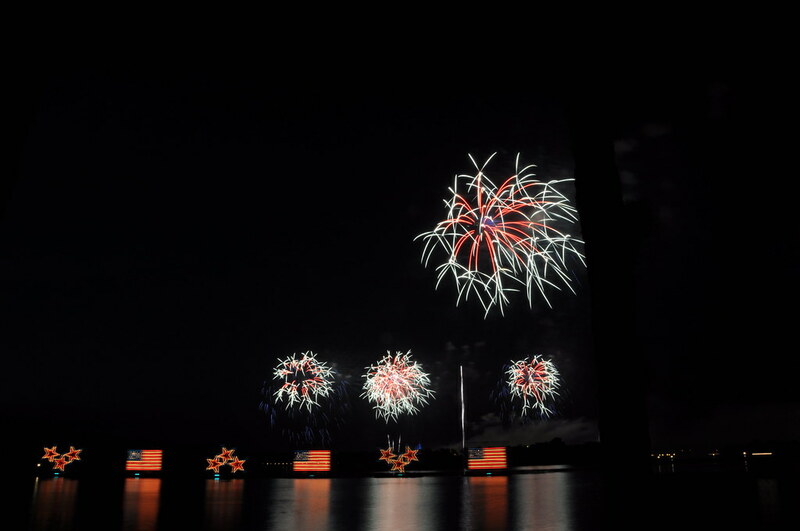 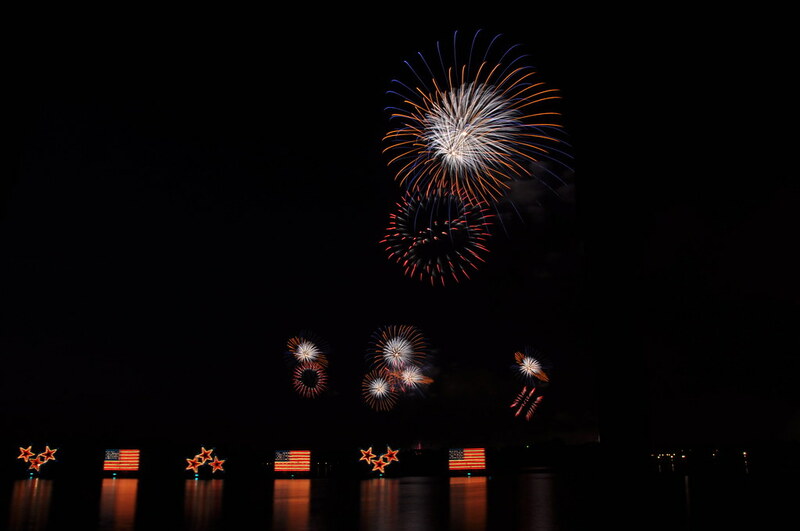 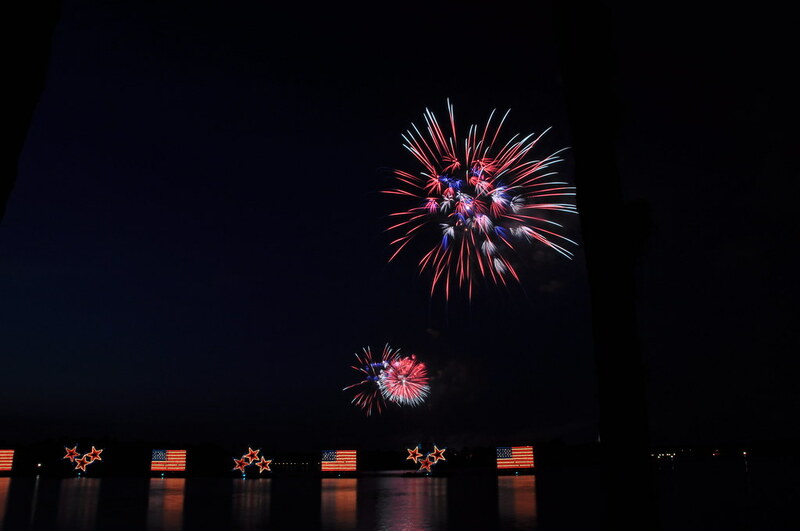 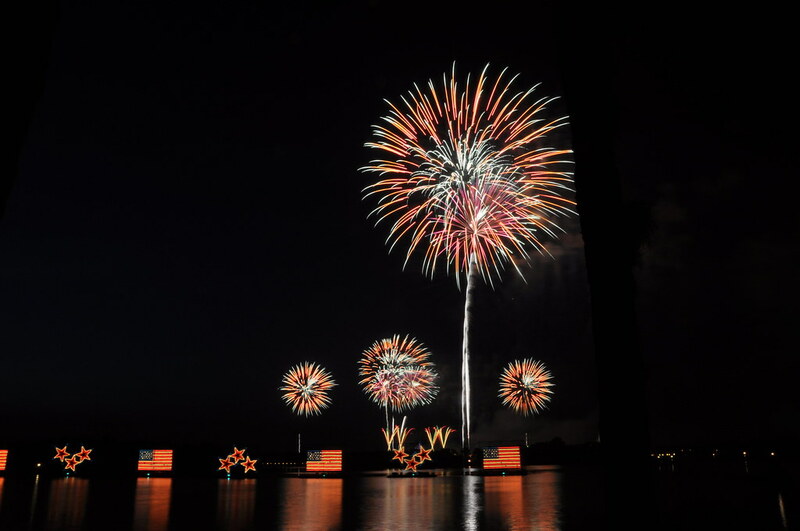 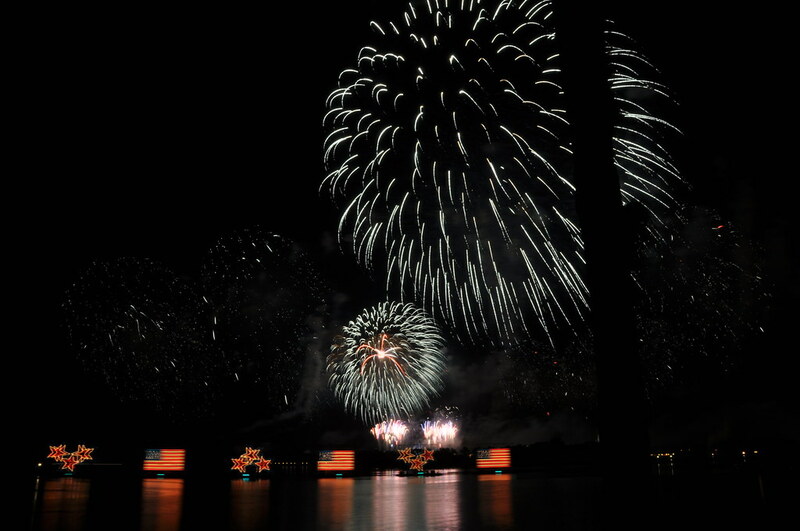 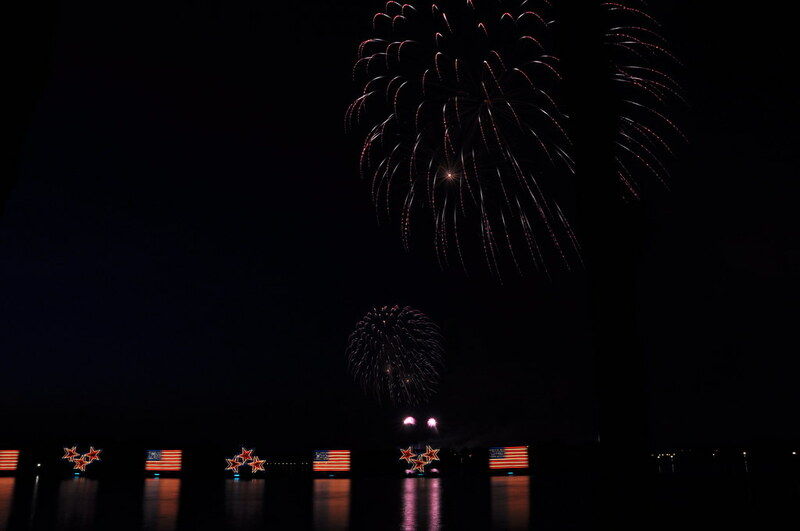 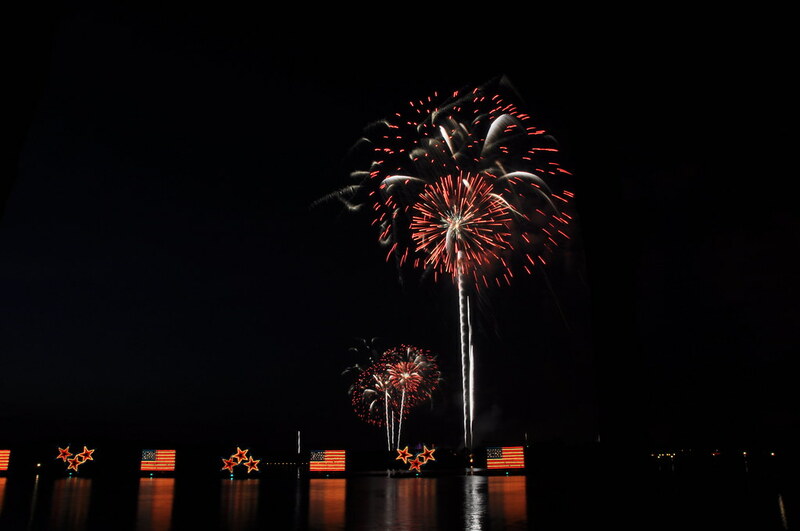 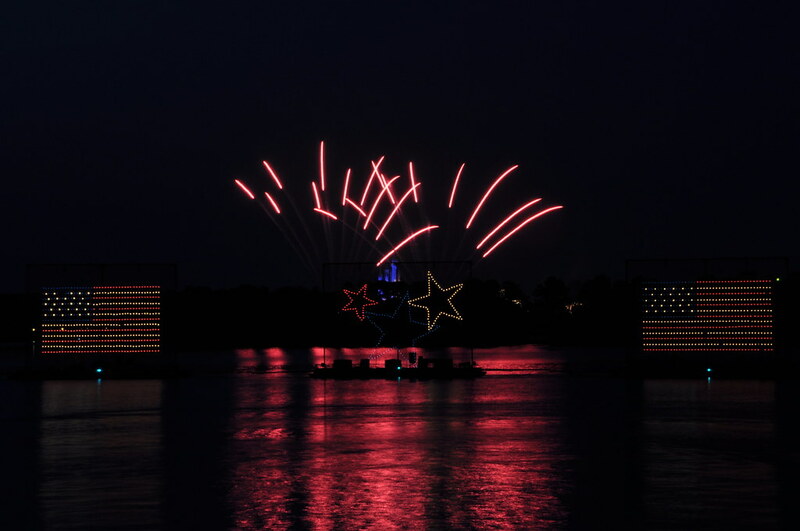 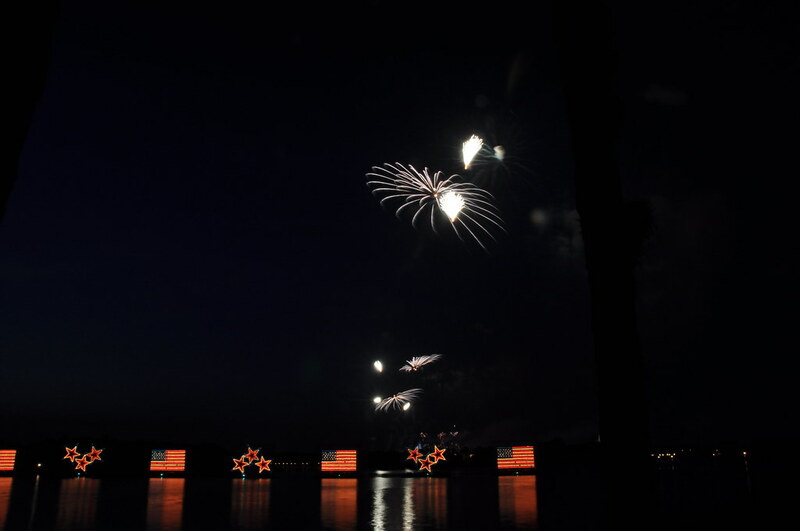 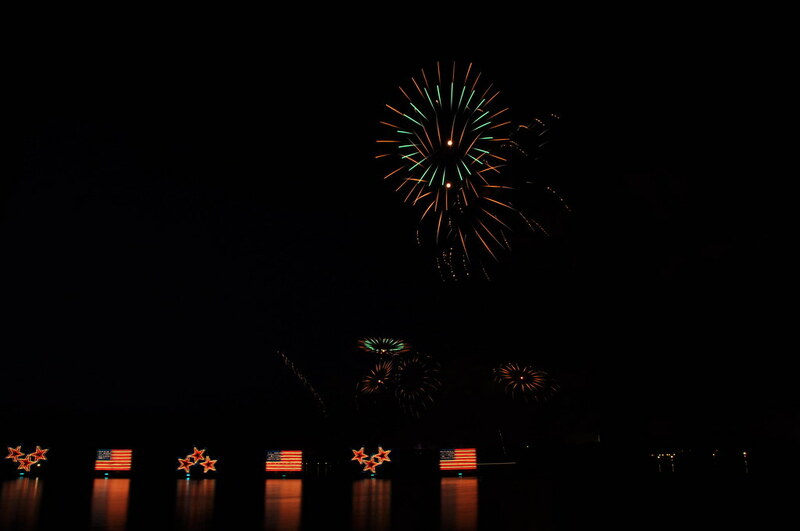 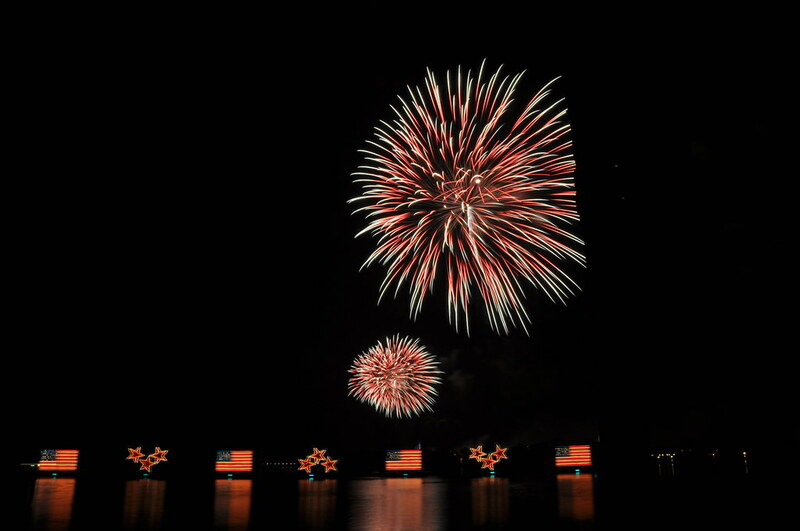 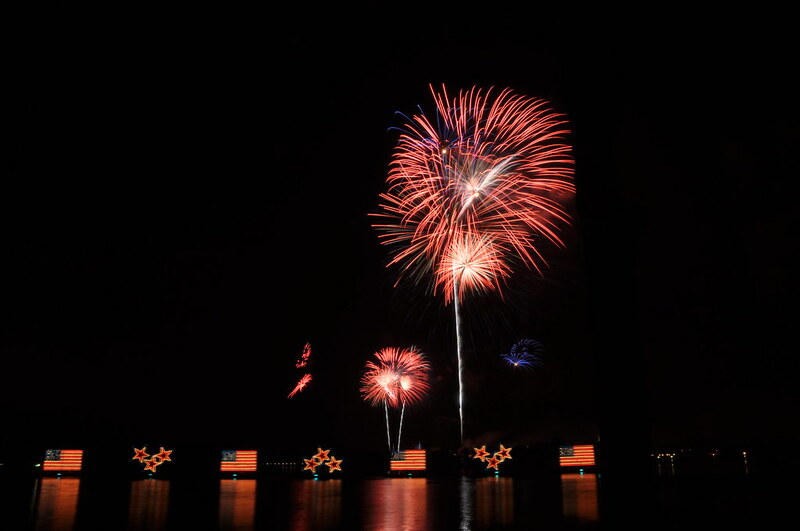 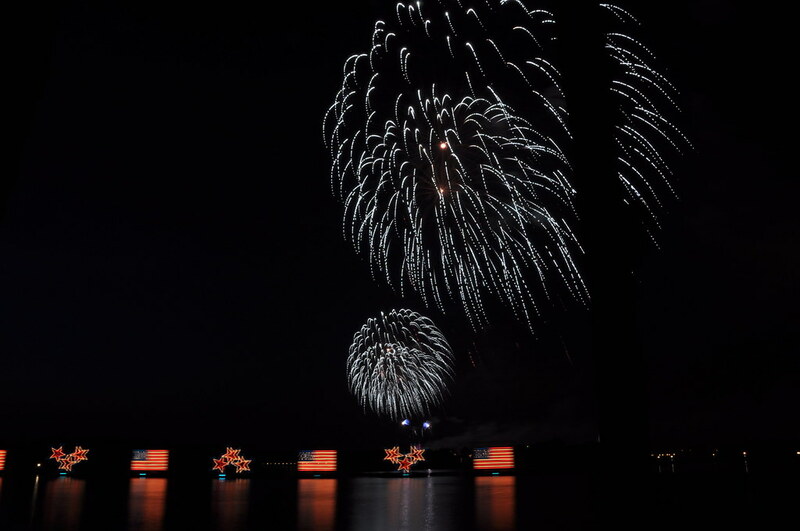 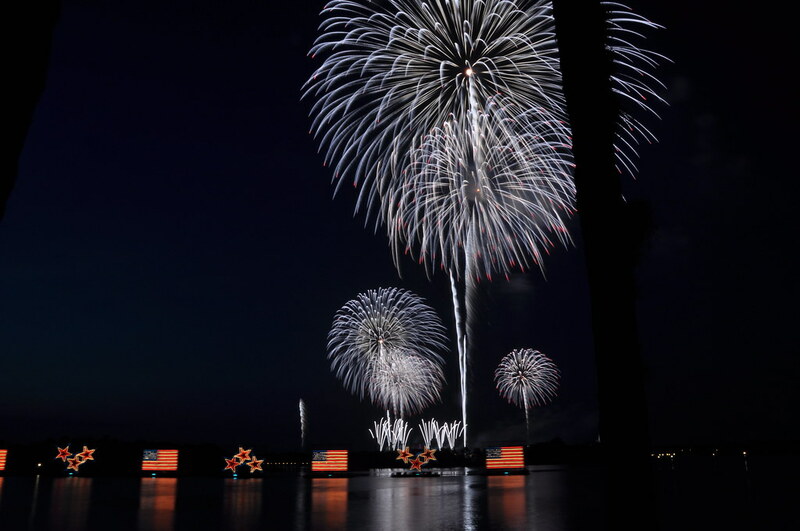 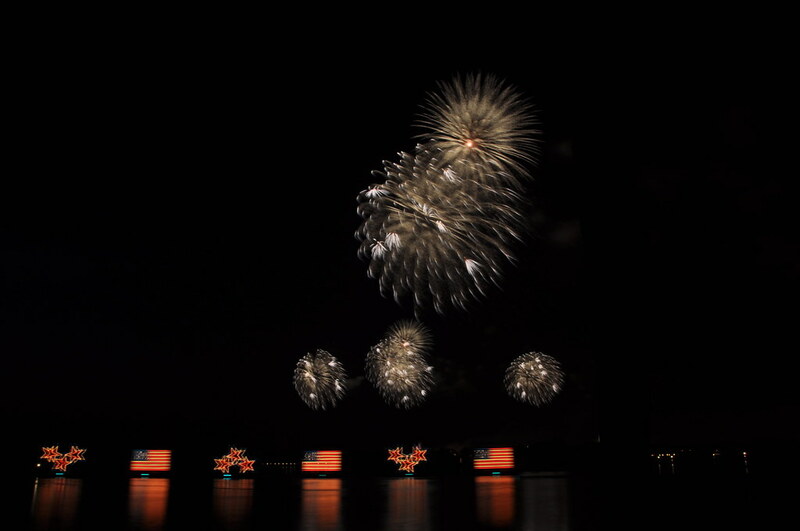 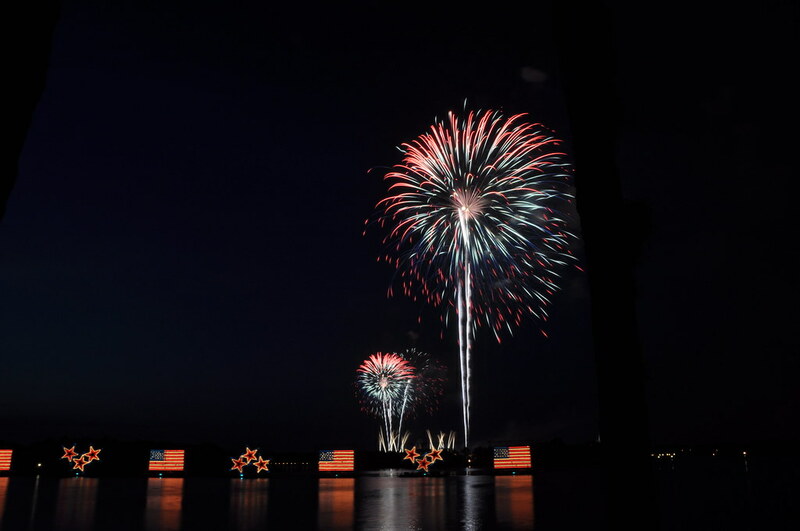 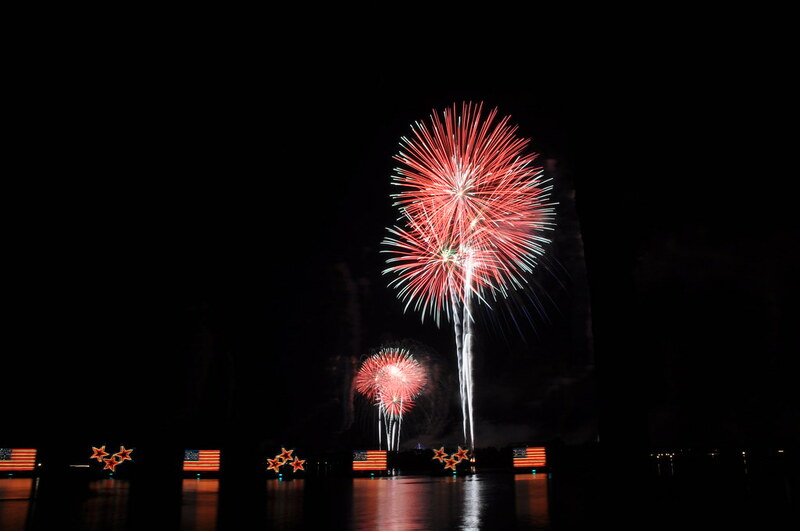 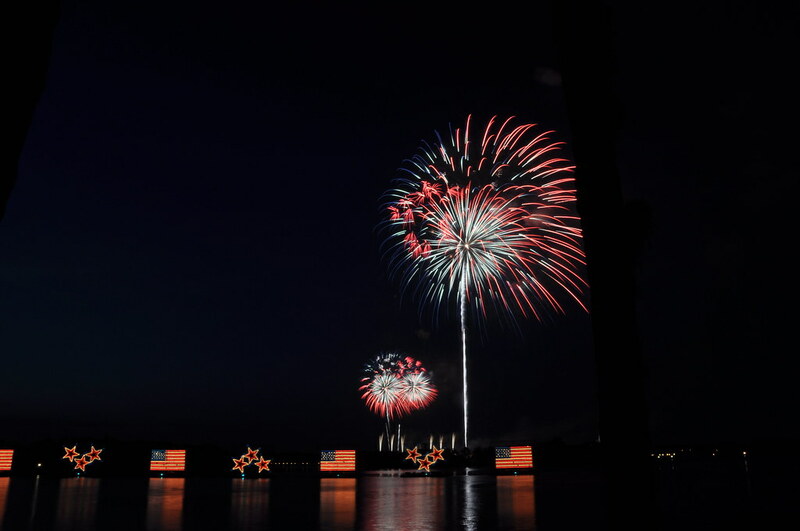 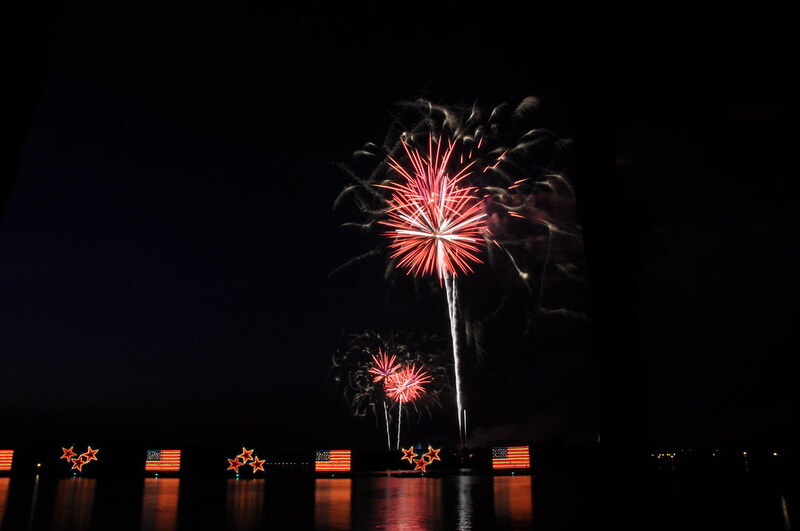 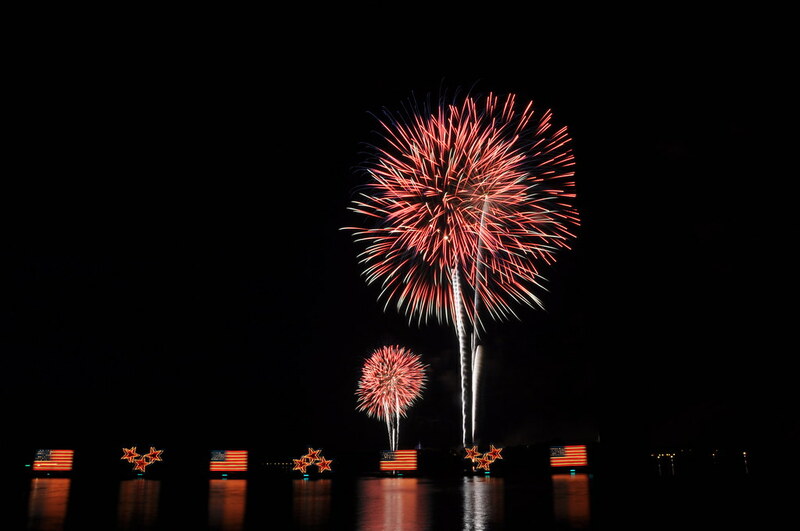 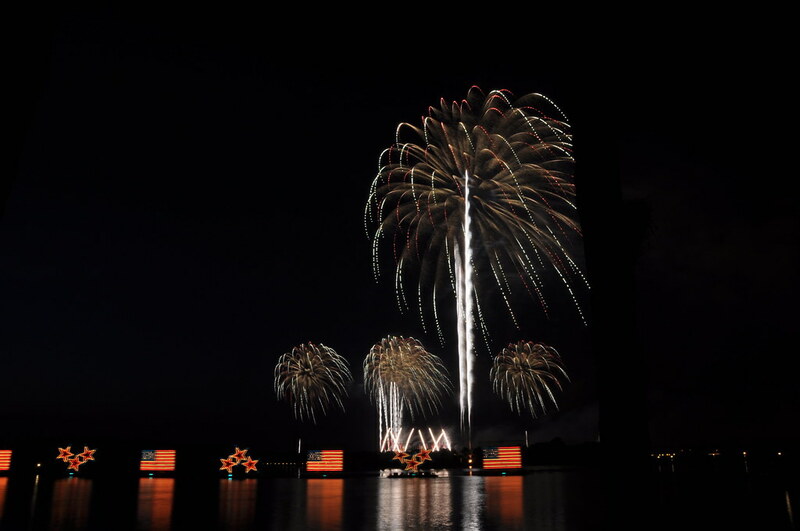 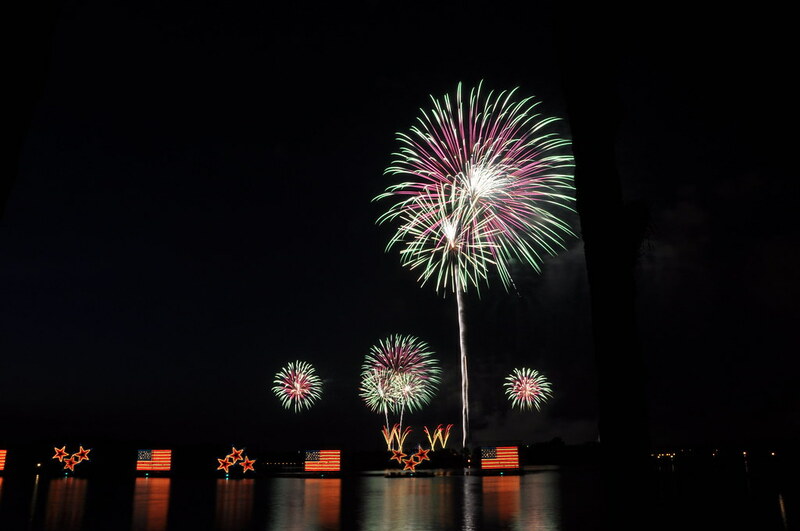 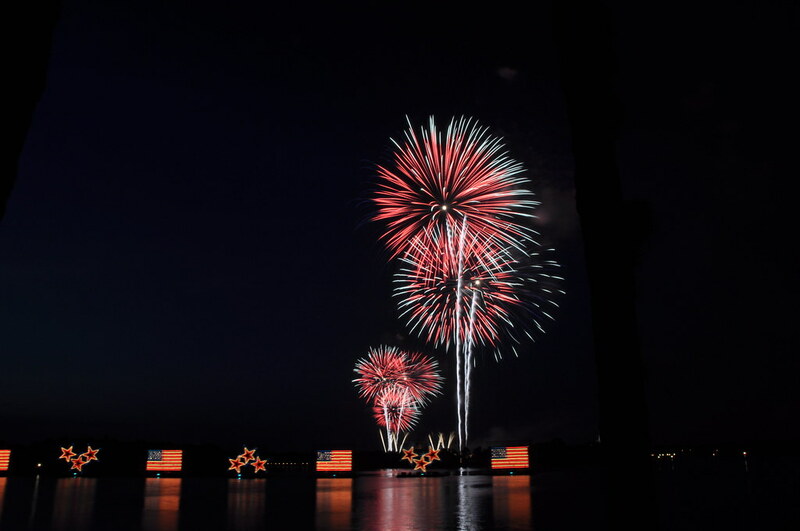 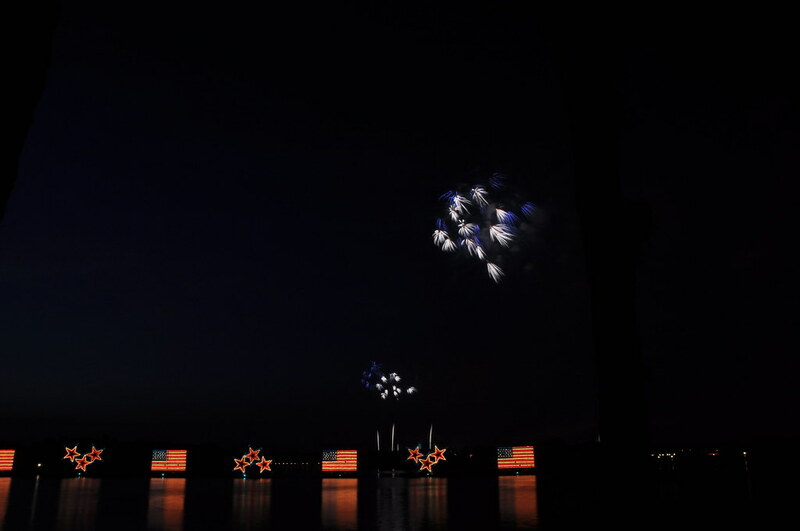 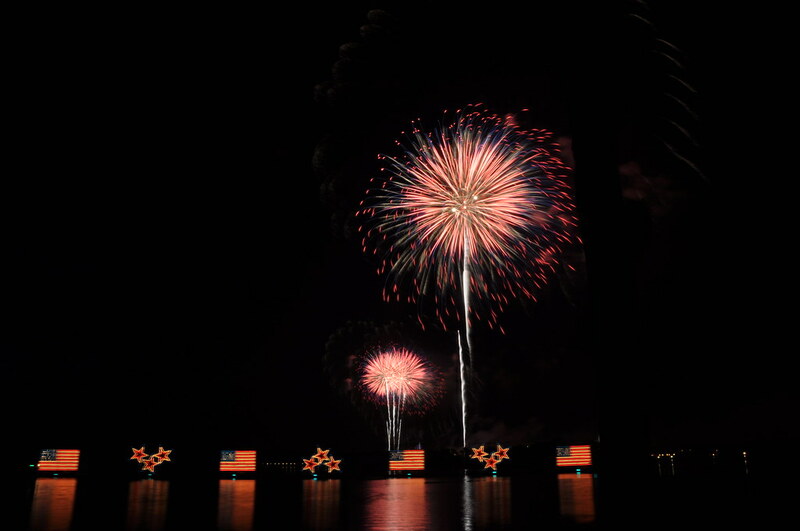 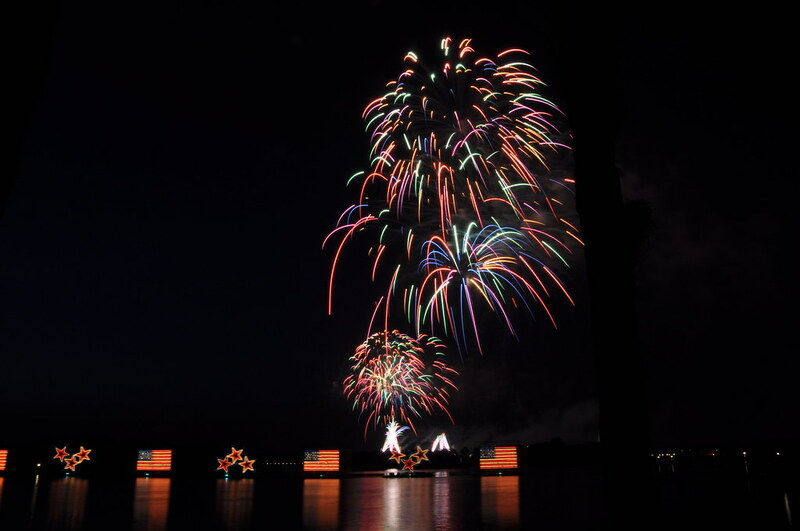 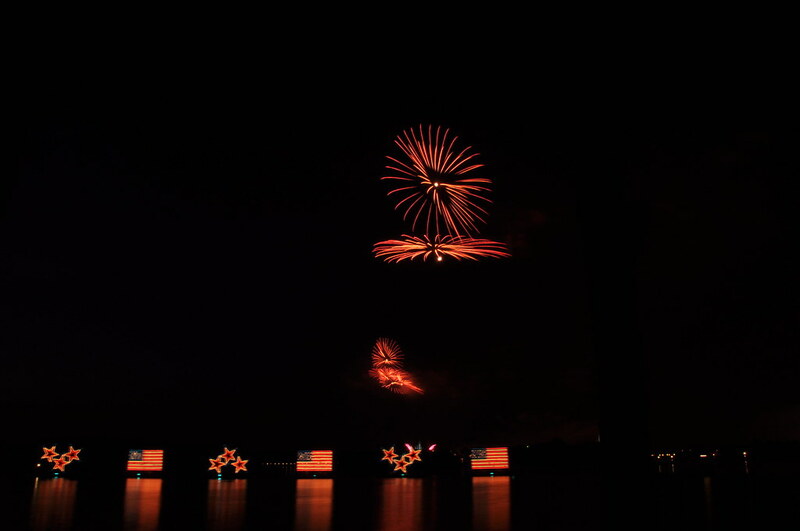 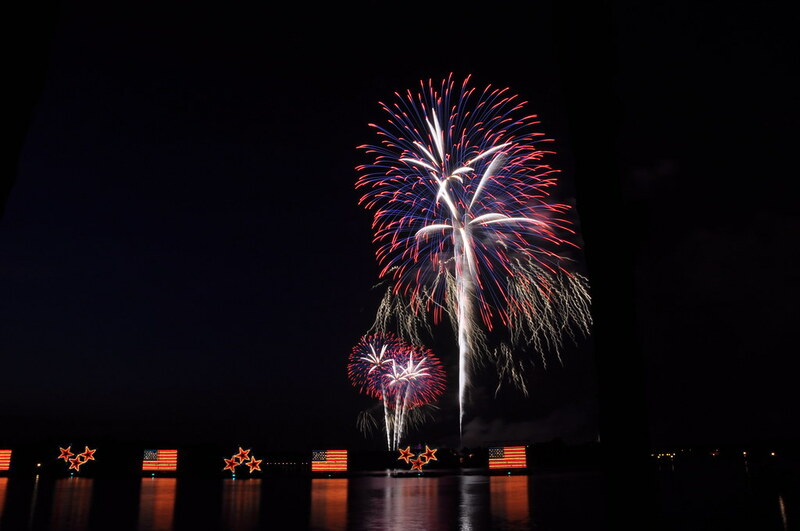 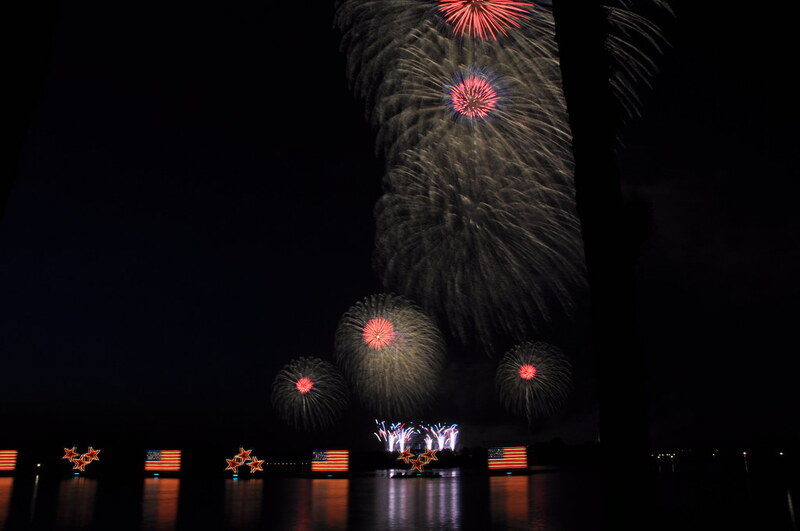 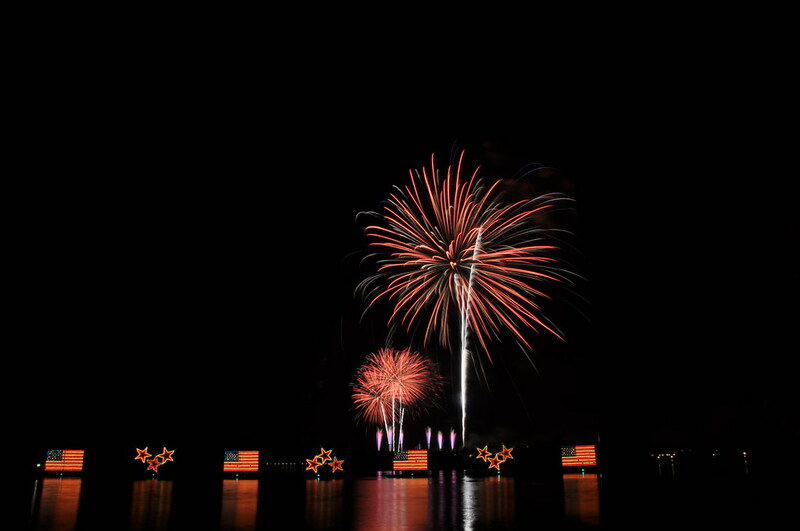 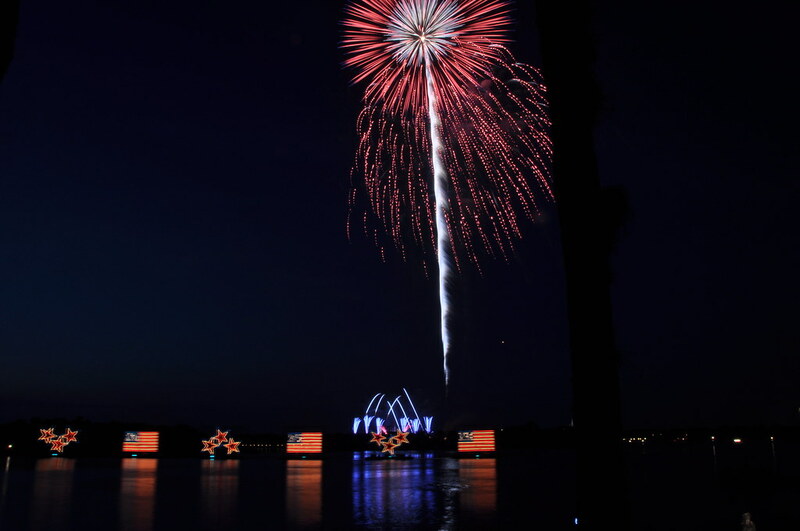 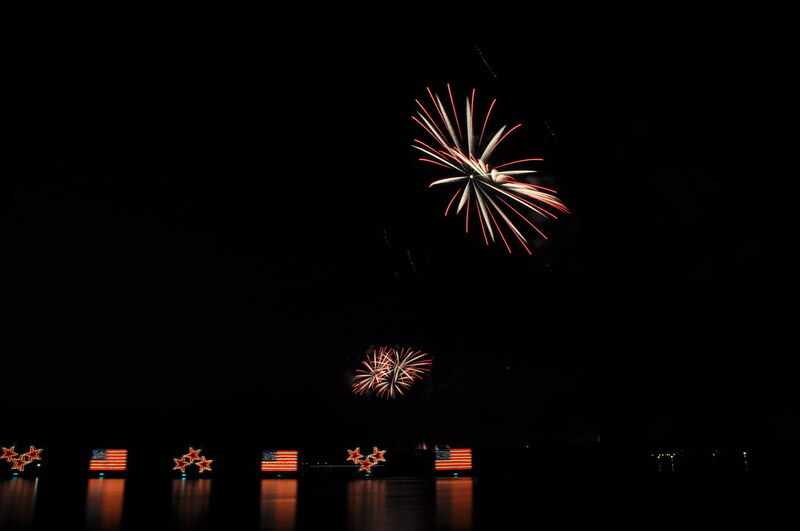 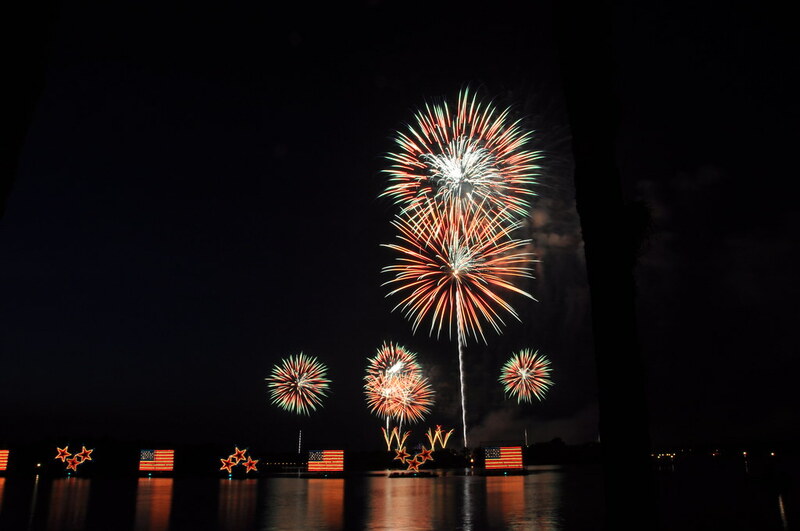 Disney had a special Independence day show on the evenings of both July 3 and 4. 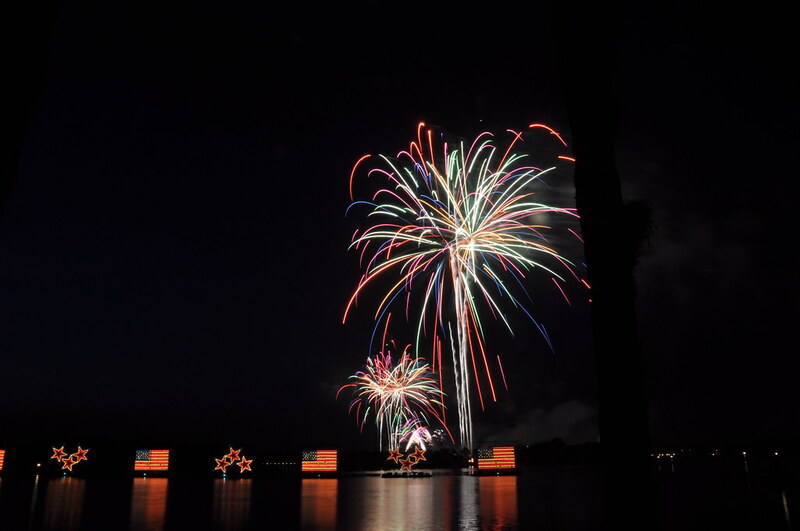 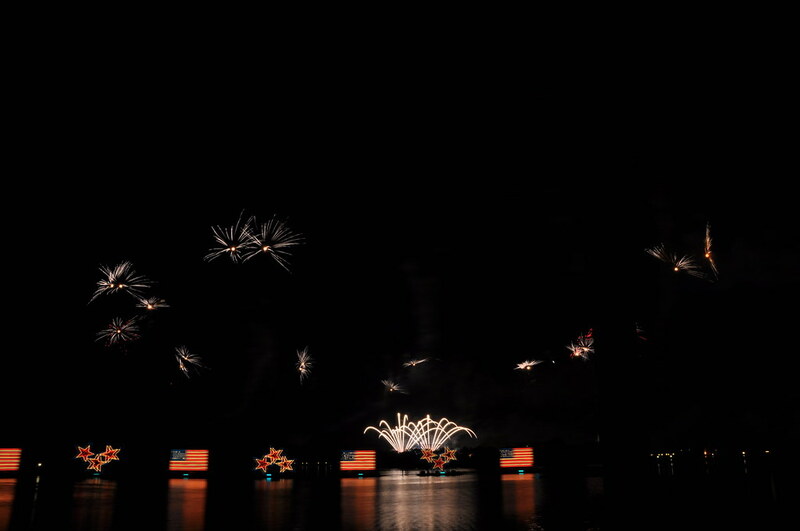 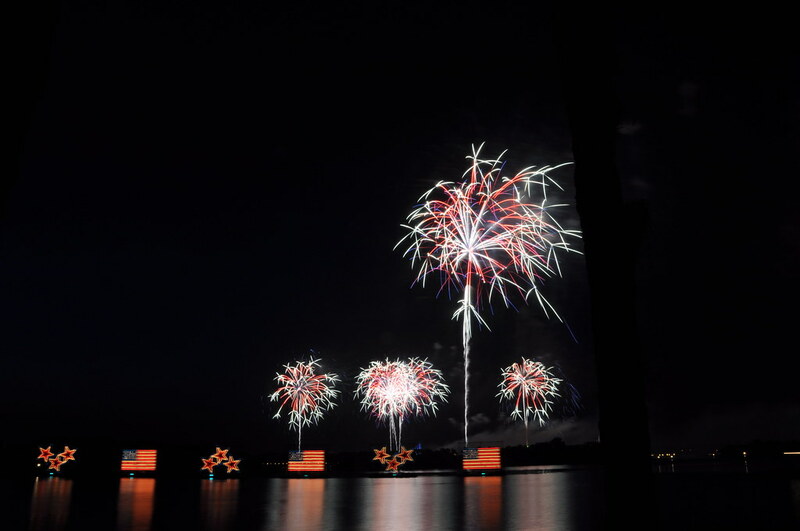 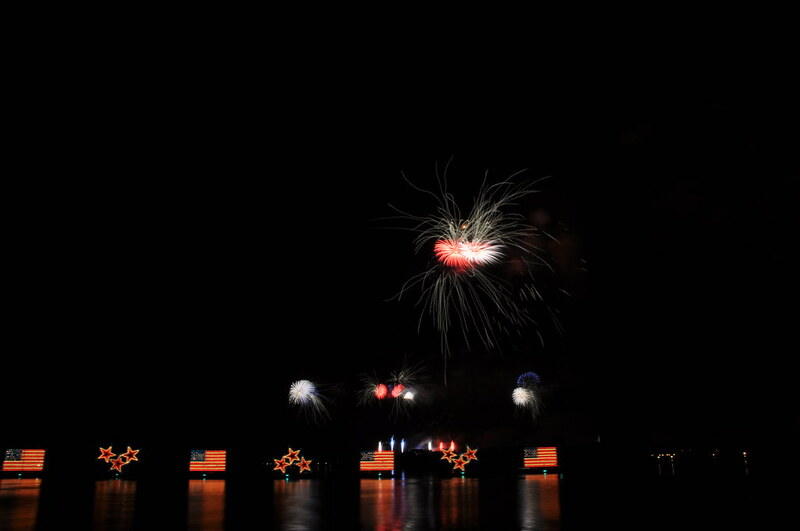 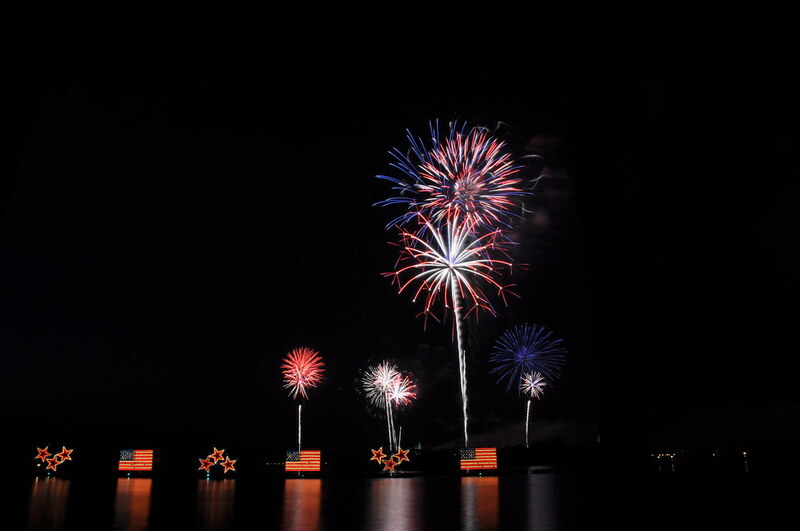 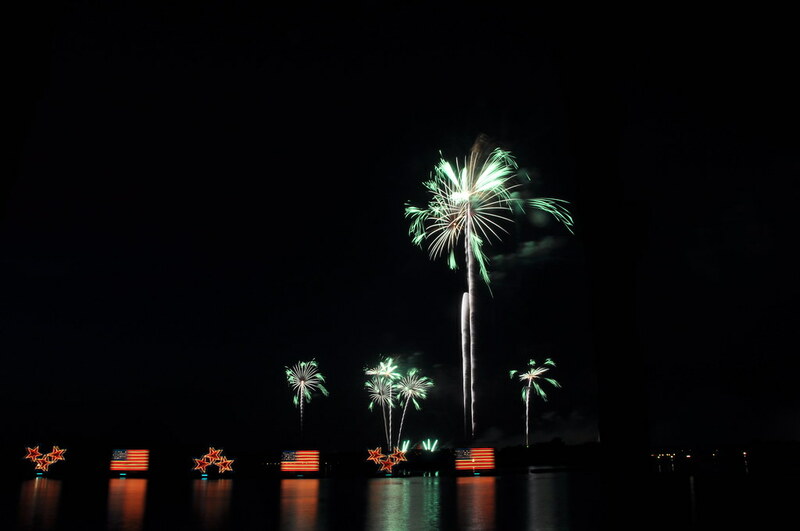 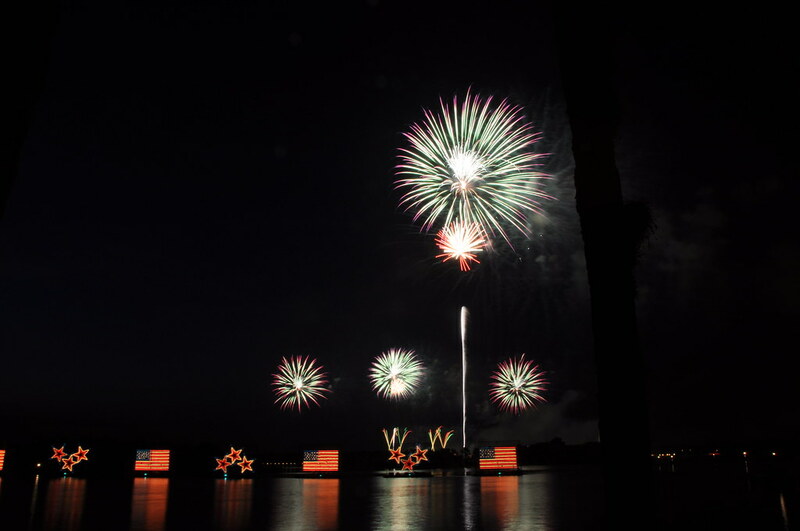 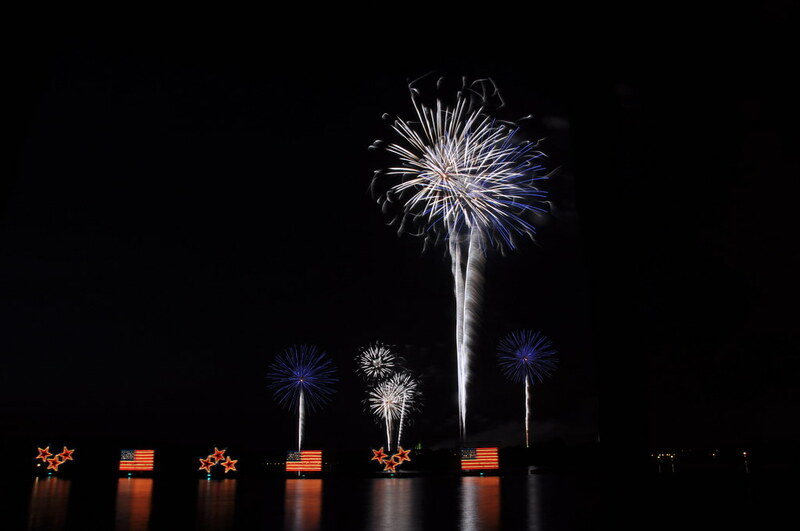 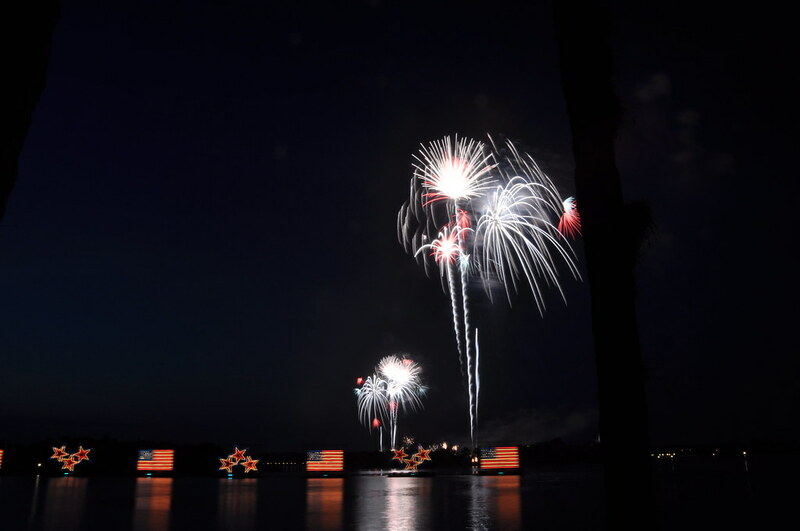 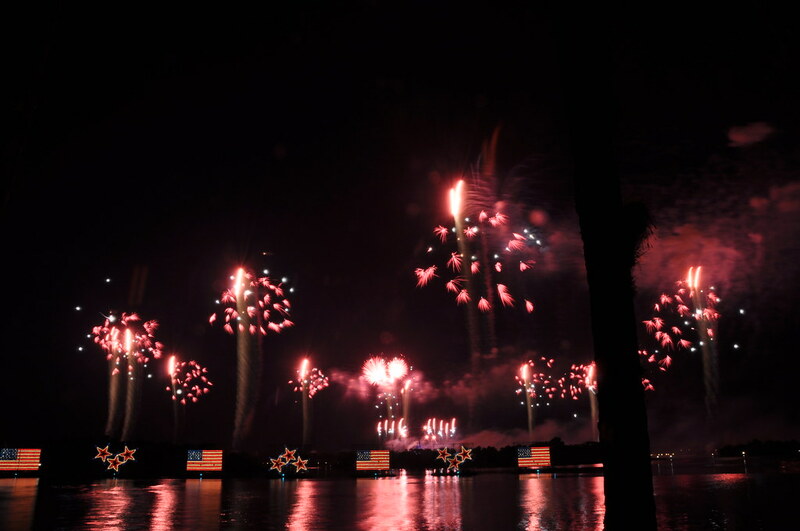 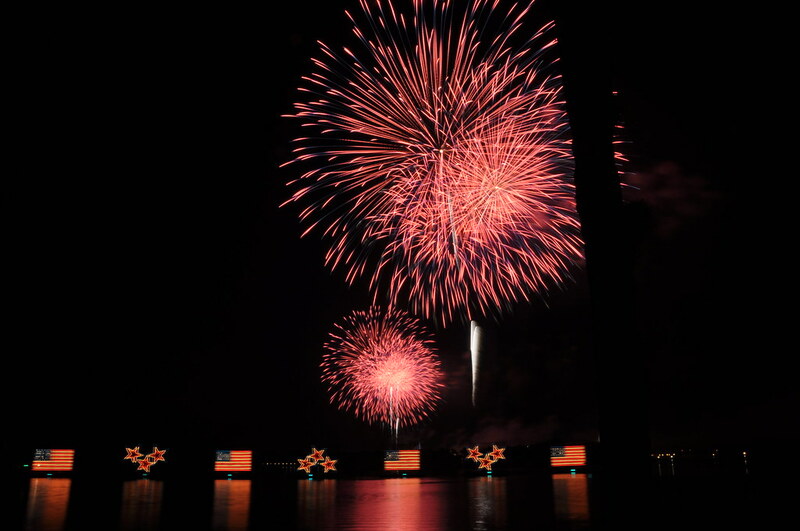 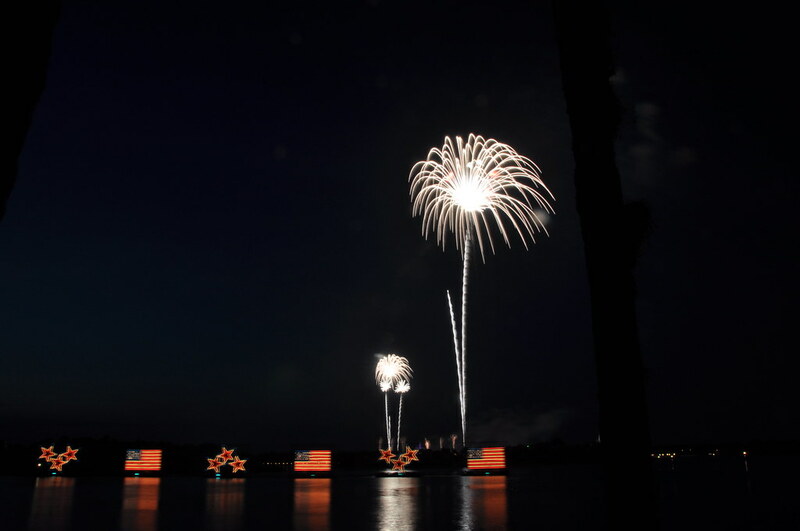 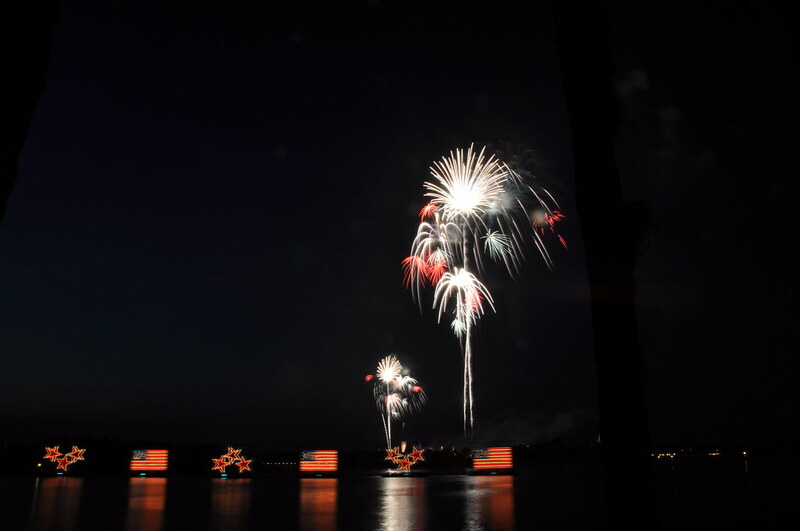 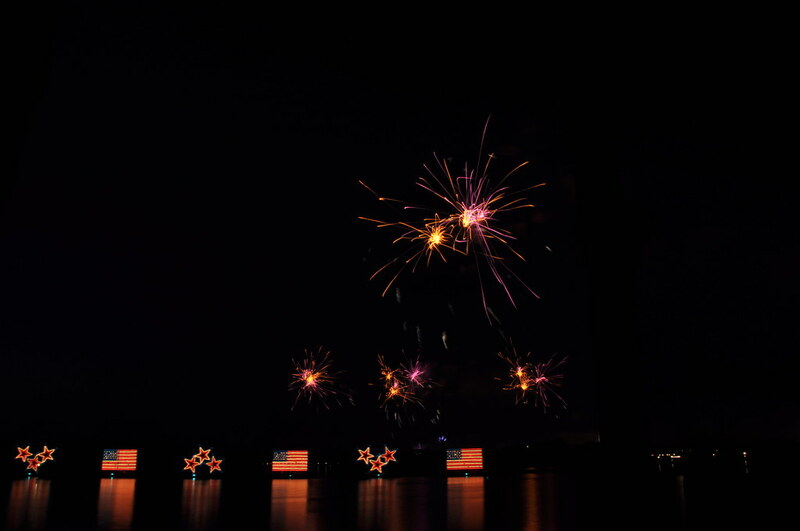 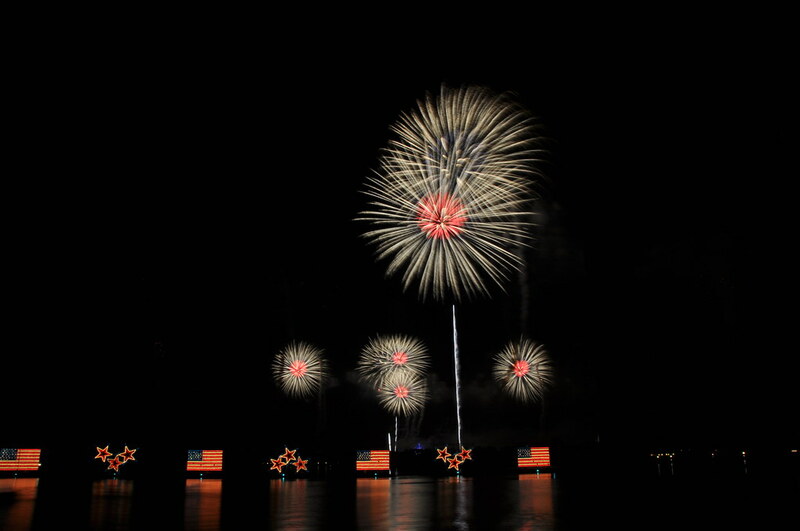 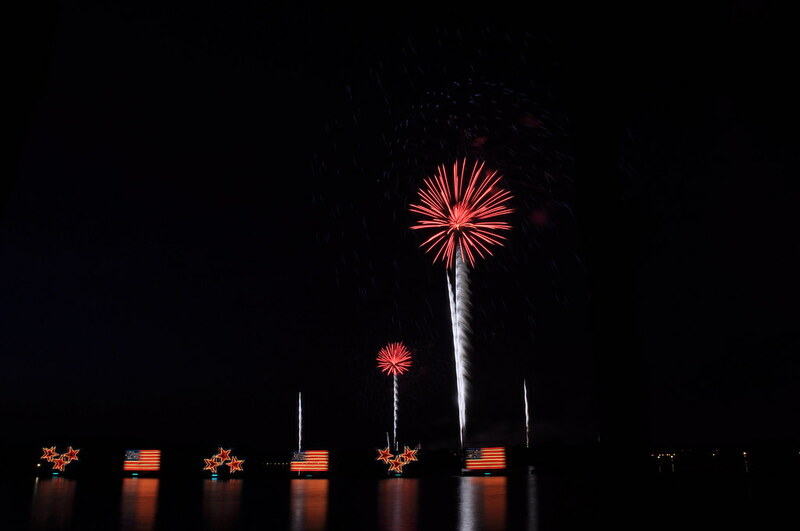 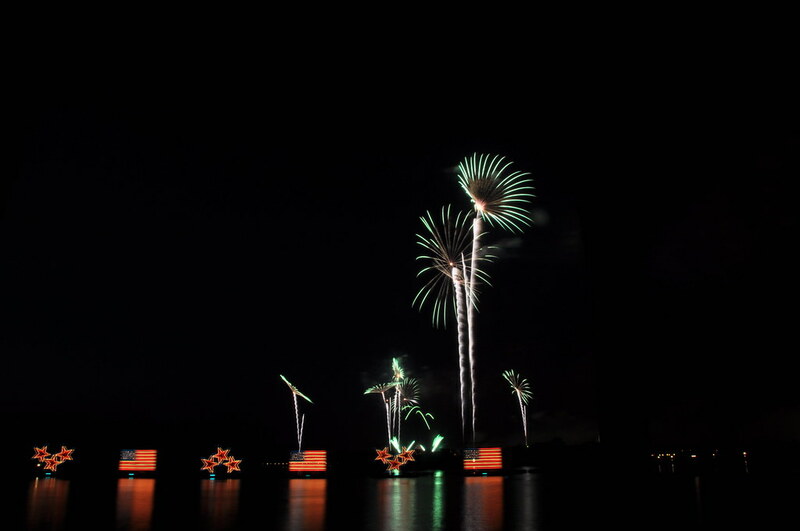 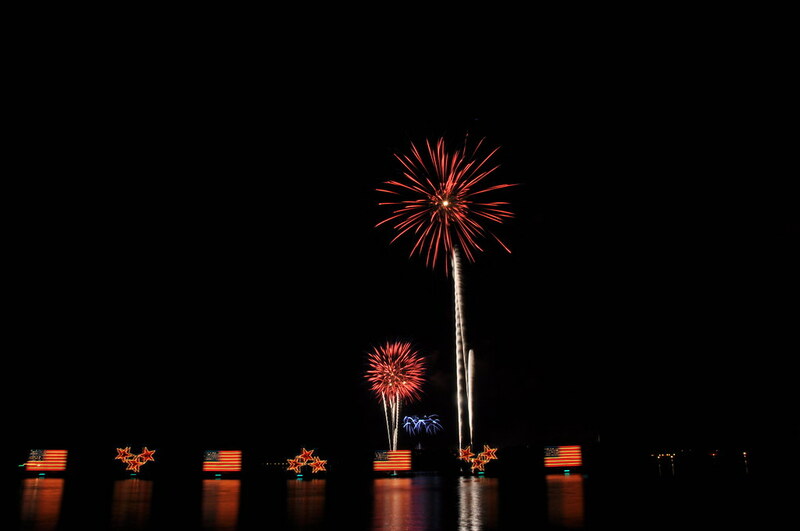 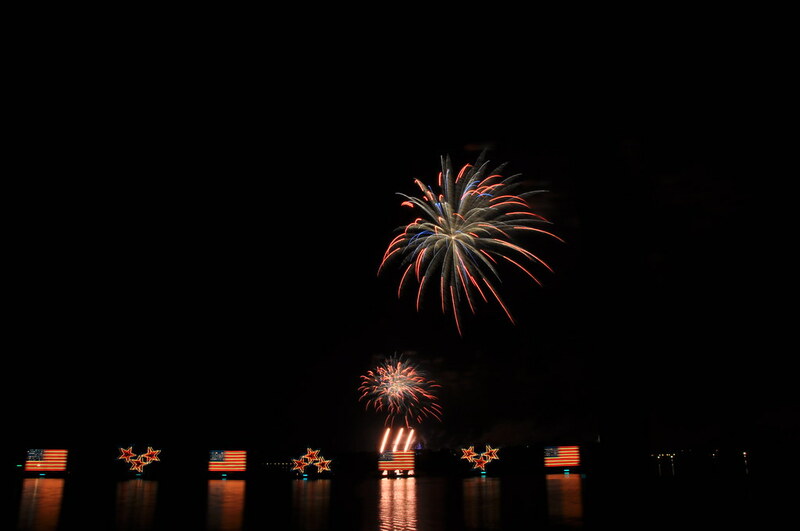 I joined friends on the shore at Polynesian Resort, looking at the show from across the lake. 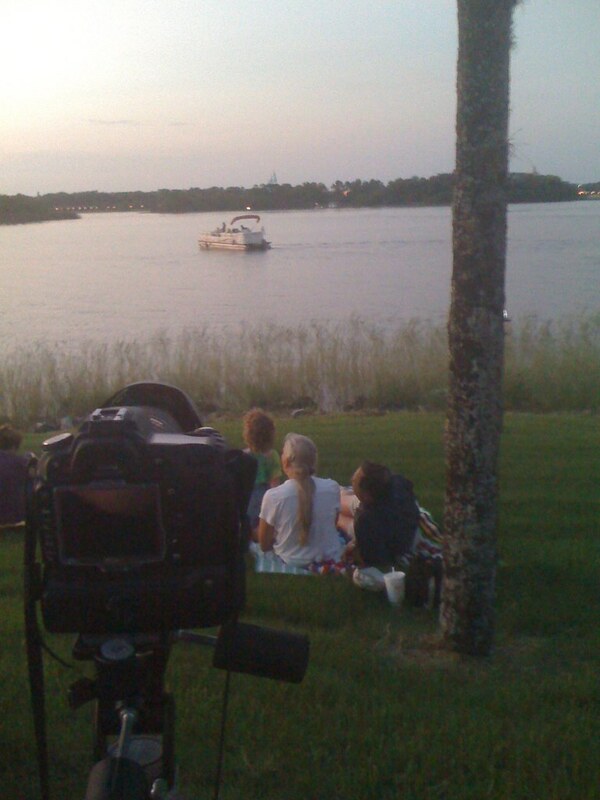 Silly me, I went and sat where a tree obscured part of the view, but I still pulled off a few nice shots. 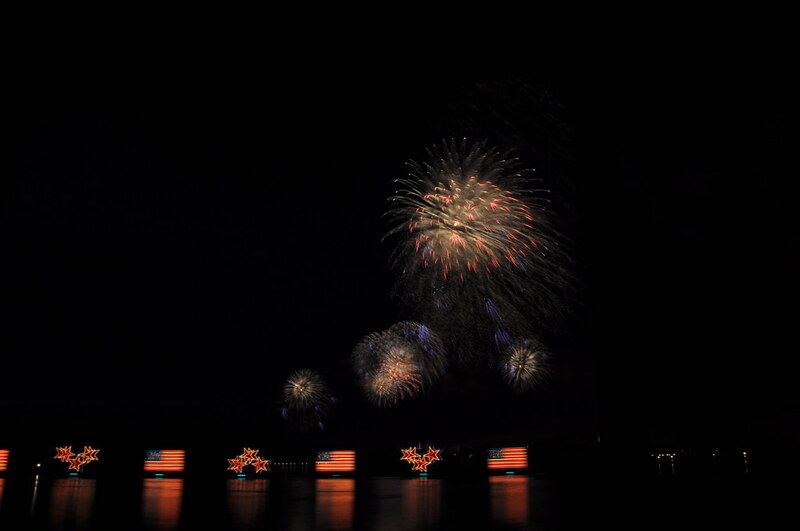 I also noticed the flags and stars in the foreground have motion blur. 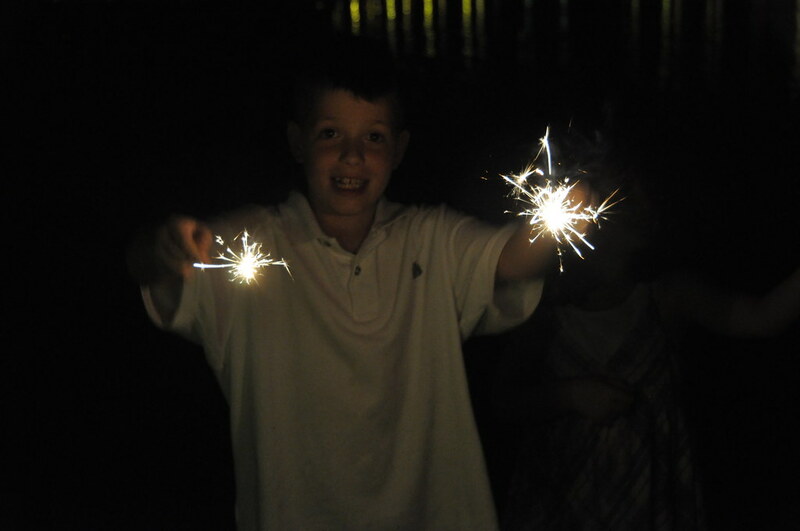 That wasn't me. 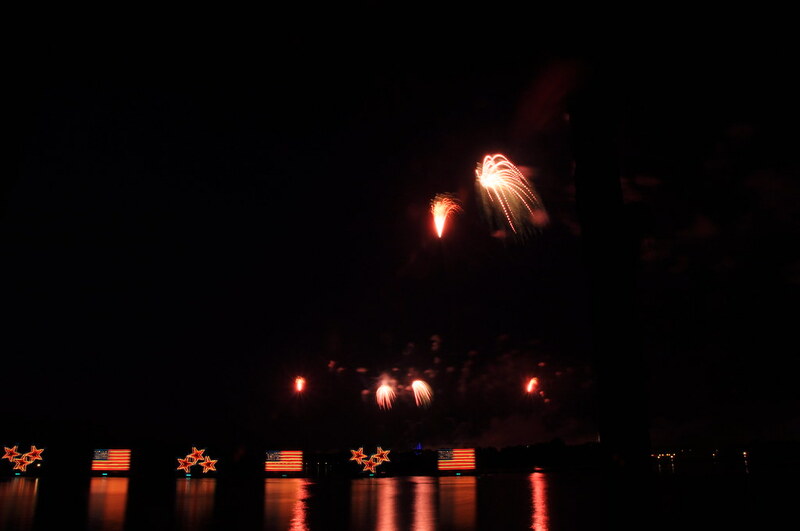 My camera was locked down on a tripod. 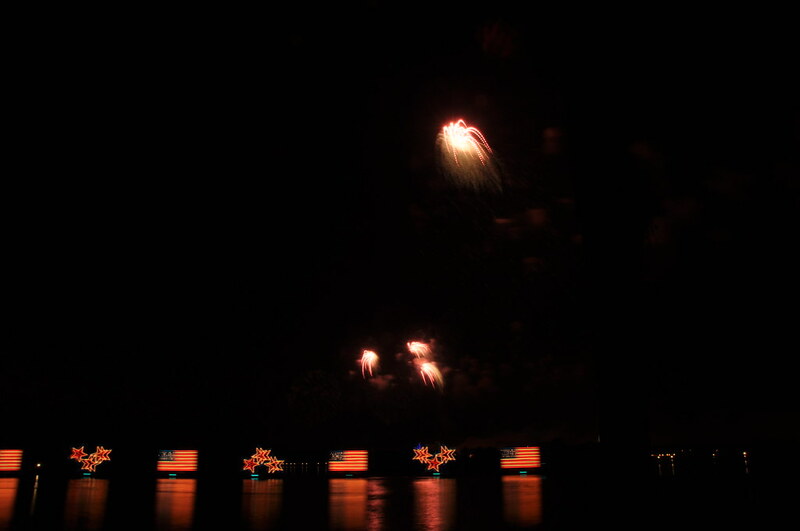 The blur was the result of the boat drifting slightly during the five-second exposures. 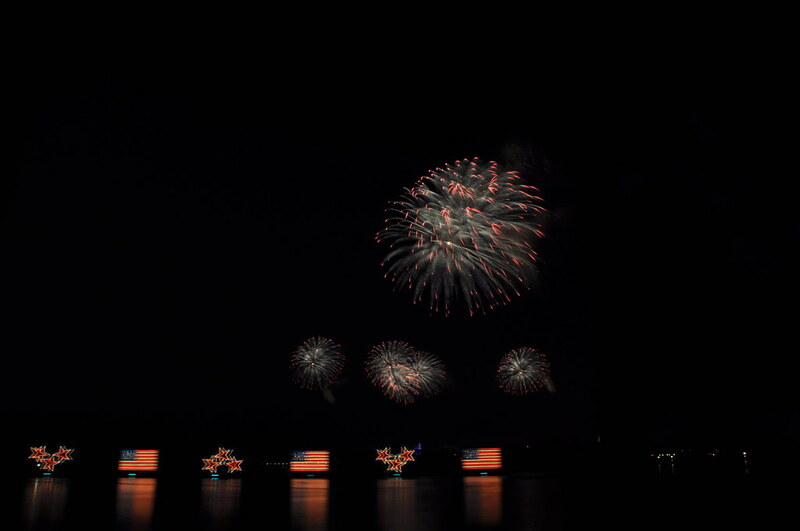 This is how I initially set up my shots, thinking the fireworks would be localized over Cinderella Castle. 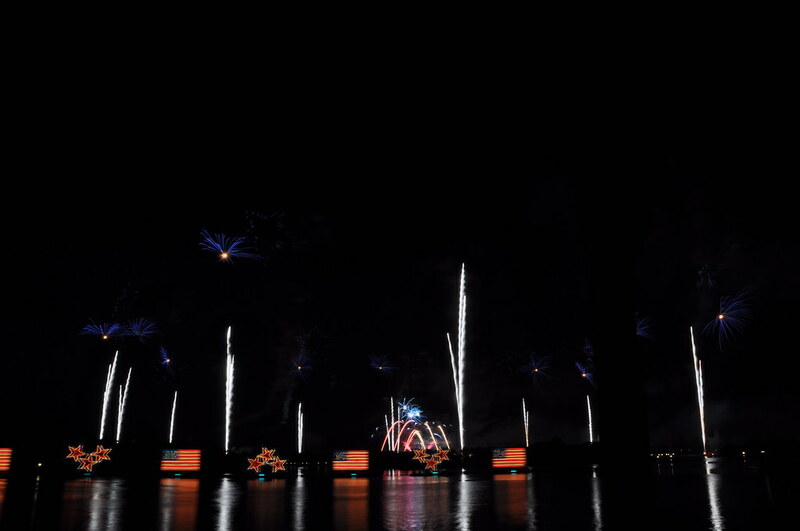 Little did I know I'd have to back out to full wide angle because the pyrotechnics came from all the way around the park. 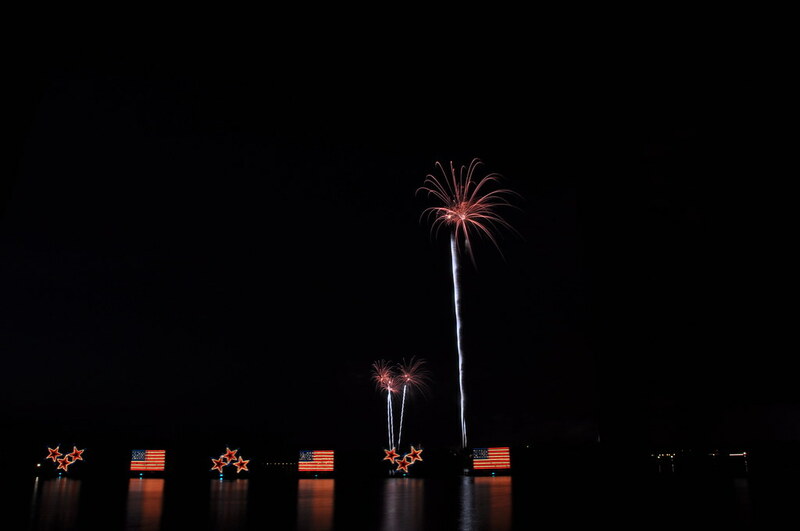 Pretty much my favorite shot for the distinct red, white, and blue colors I captured. 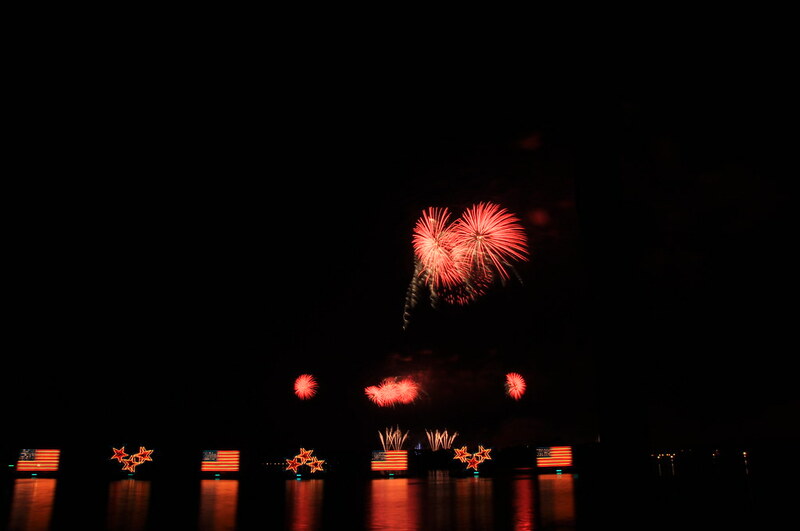 A picture doesn't do the finale justice. 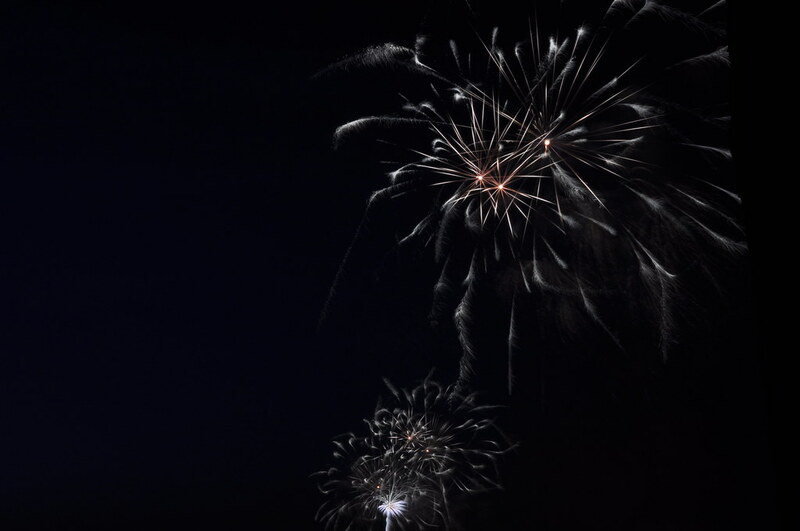 It was massive. 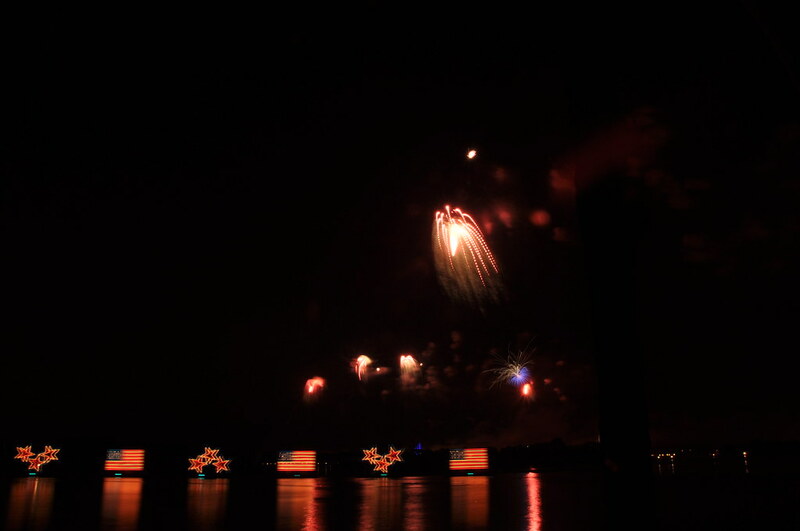 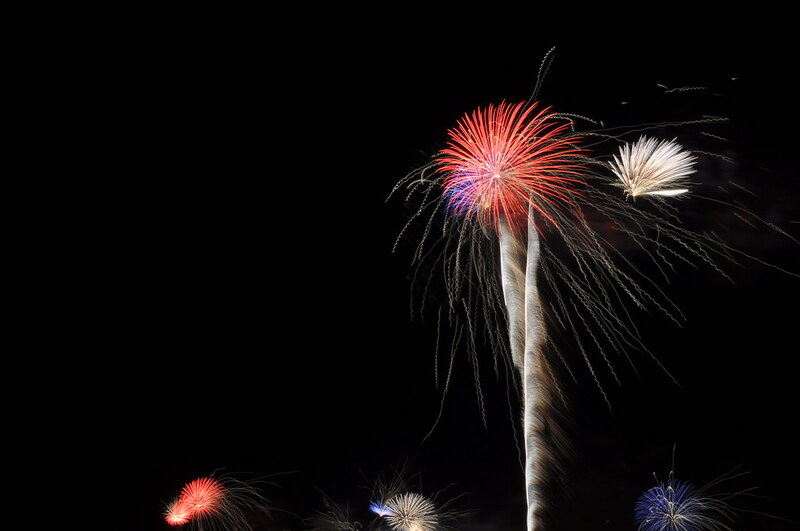 Fireworks filled my entire periphery of vision. 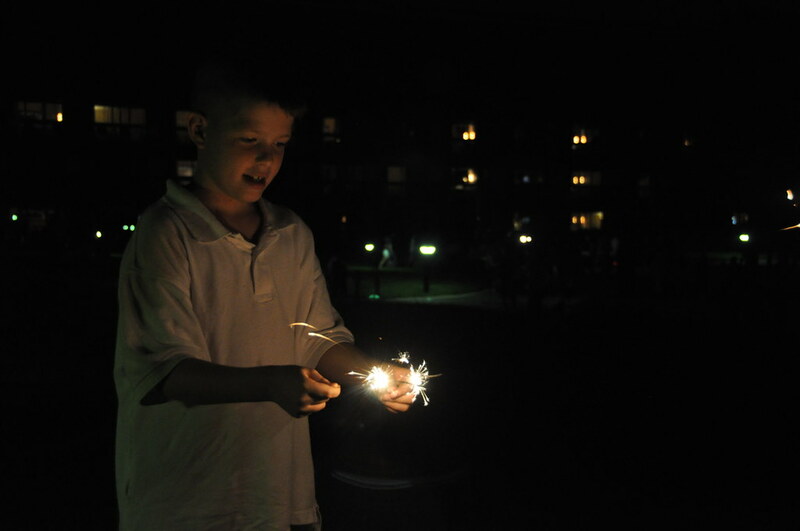 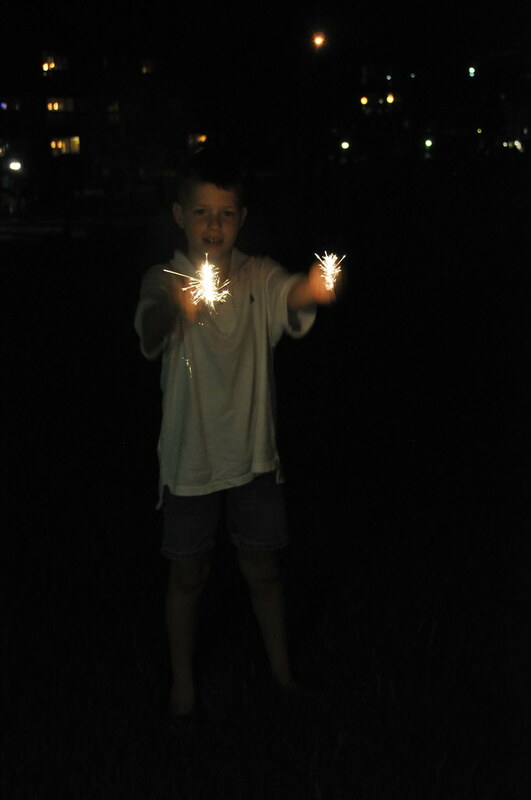 Tried to capture one of my friends' son with sparklers. 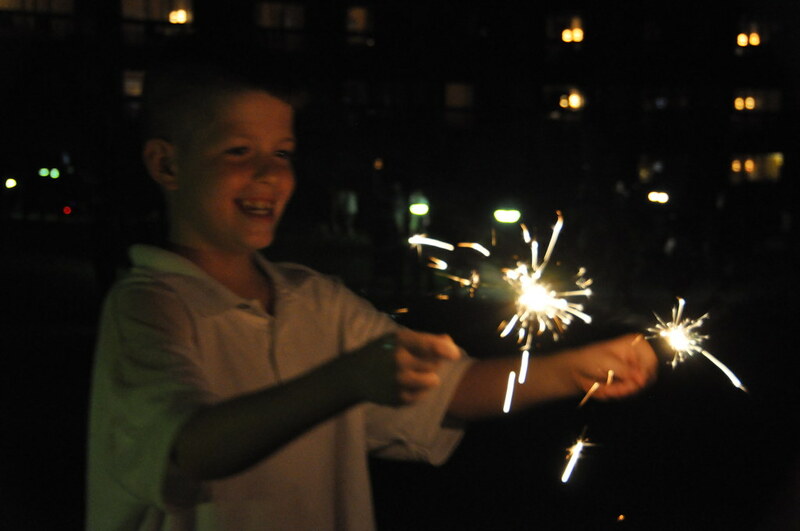 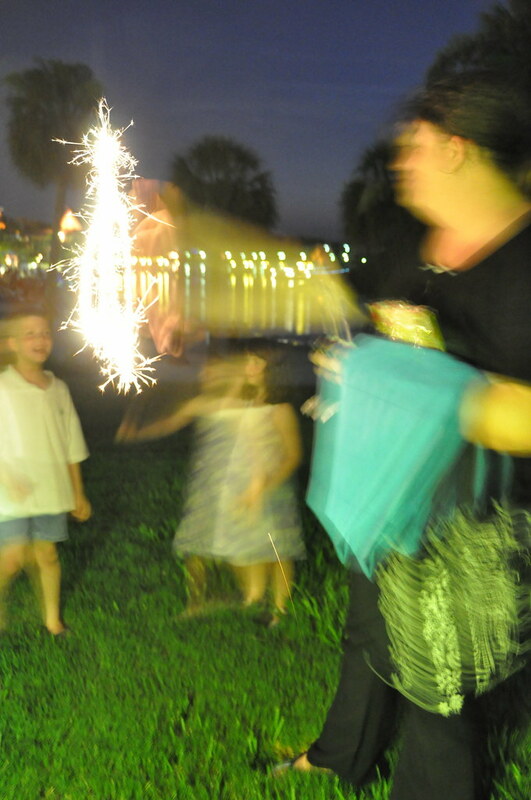 Trying to capture motion streaks of the sparkler, I exposed this too long, but somehow it still seems kinda cool.